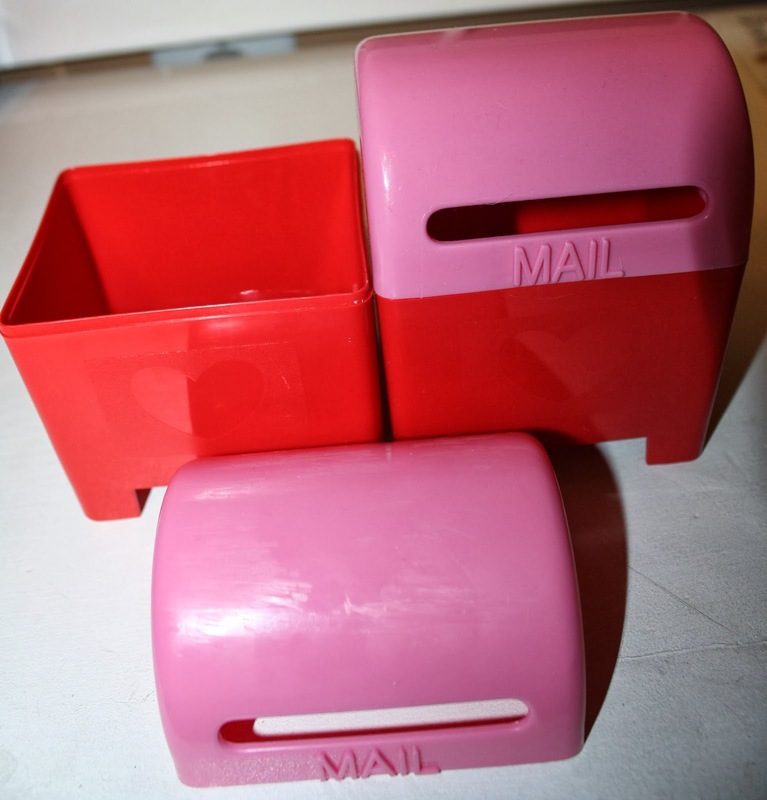 Sooo… when I came across these little mailboxes at the Target dollar section, I could NOT pass them up! Students can deliver mail into the slot in the mailbox and then open the top when they are done. I decided that I wanted to use 5 of these mailboxes for a short vowel sort. I created “Valentine Vowels”. I made a heart for each vowel. I laminated and cut out the hearts and put them on my mailboxes. You can use any container. Below, you can see a small paper cup, a cup of plastic containers (all ones I found from the dollar store), and a tin bucket (possibly from the dollar section at Target or Michaels). You could even fold down the top to a paper bag and paste the hearts to the front. This activity can be introduced to the whole group or small group. Students will look at the picture on their envelope, say the word, and identify the short vowel sound. I have included 5 CVC words for each vowel. Students will sort the envelopes into the “mailboxes” and then complete an extension activity. I have included 3 typed of extension activities. For each type of extension activity, I have included an “I can” picture directions card. 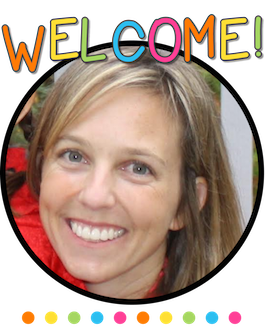 Students can use this in the center to keep them focused on the order of the tasks. The first extension activity, includes some of the CVC words. Students will say the picture and use a bingo dabber to stamp the correct short vowel sound. There are 3 different worksheets to practice this skill. Here is a friend sorting the valentines! This is an example of the second extension worksheet. There is another “I can” picture card. In this activity, students will say the pictures, and write or stamp the correct vowel sound in the middle of the word. It reinforces that they are listening for the medial sound in the word. They can use the beginning and ending sounds as a reference to find the missing sound. There are two different versions of this extension activity. One has 9 words and the other has 15 words. Here is the third extension activity. Students will look at the picture, say the word, and listen all of the sounds. Students will write or stamp the CVC word in the boxes next to the picture. This requires students to listen for each sound in the word. There are two versions of this activity. One has 9 words and the other has 15 words. Here is one of the printables from the “Valentine Vowels” pack for FREE! Try it out and see how it works for you 🙂 Click here to get your freebie! That is “Valentine Vowels”! It is an easy center to put together, but has the potential for tons of fun! You can differentiate with the extension worksheets you give to your students to complete. Here is another great differentiated game that I came across! This is a math game, from My Fabulous Class. This comes from her Valentine’s Day Math Centers. I love it! It has three versions of Roll and Cover games. Two are meant for one dice. In these versions, students will roll the dice and identify the number or match the dots and then cover the matching numeral or dots. In the version with two die, students will work on addition. They will Roll, Add, & Cover. Fun! It is also such an easy center to set up! I LOVE the mailboxes, Laura! I went to Target but they were all out. I am so excited to teach your Valentine's day unit next week!!!! Awww! Too bad you don't live near me. I was just at Target again and they had a whole bin full! Let me know how it goes. I used your Roll & Cover and Roll, Add, & Cover. They were a huge hit! Hope you have an awesome week next week! How did you buy just 5?!!! What an adorable idea…please tell Target to make more next year! Love your ideas and thanks for the freebie! I know! I went back yesterday to clear them out, because I realized I should have gotten more. All gone 🙁 I hope they make more, too!!! They sold out fast, because they are AWESOME!!! I have found that all Targets are not created equal when it comes to the dollar section. I've had to go to multiple cities to see who has the best selection.